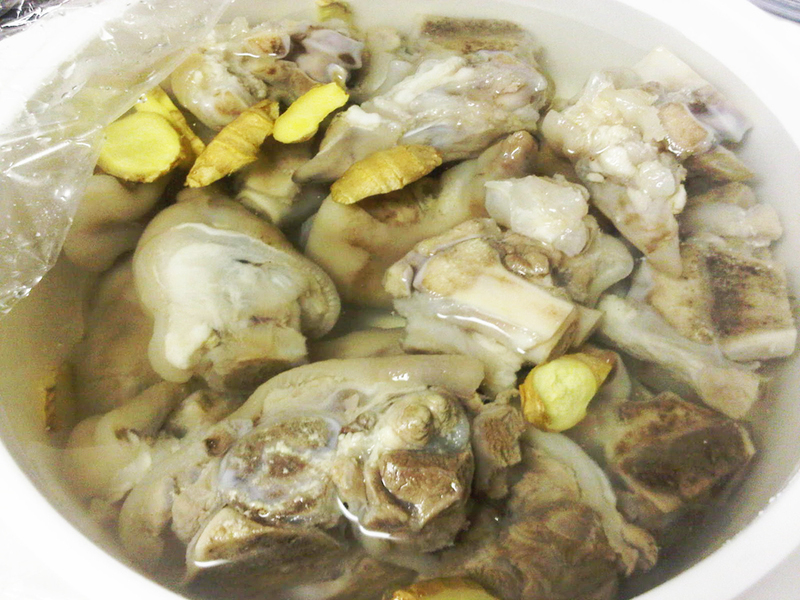 ~I could still eat some pigs feet but only after a beaker of czysta wodka, no ice. 27 Comments on "Pickled pig’s feet, anyone?" My Grandparents (I only knew Grandmother) were from Poland. We always had beet horseradish for Easter, along with poppy seed (and nut bread), Borscht for Easter breakfast with Kobasi. I still make it all. Yum. It was all about family and food. I miss my grandmother, mom and most of her siblings, since they have all passed away. My son who is a mix of everything loves Polish food, so the traditions continue. My husband is Polish and loves to cook. I try to make the things he likes, but don’t have all the recipes. One of them is periski (probably not the spelling). They are buns filled with sauerkraut or kasha. I tried making them once and he thought I had made small loaves of bread. If you have the recipe for them, I would love to have it and surprise him. Thank you for all the good food you’ve been cooking, healthier, but looks great. I will now try the cinnamon buns. No nut-roll recipe?? A good one to add for Polish cooking! I got your message but unfortunately, my father never shared his recipe for picked pigs feet so I am unable to help. Jenny, Have you ever eaten beets in a tossed salad? It’s delicious! Yes, I have. I love beets – just had some last night. However, I’d be pleased if you add someting very important into your polish hot-list : “BIGOS” , “OMLETY Z JAGODAMI I SMIETANA”, “BARSZCZ CZERWONY” … ! I would love to have the original recipe for placek ( polish coffee cake). I was never given the recipe for my polish family. The only ones I have found were make with potatoes. The supposed ones you buy in the store called crumb cake are definitely not it. I love the pancake recipe. I use to make it when my kids were little about 50 years ago. I forgot how to make them. Thank you in advance for your help. I’m sorry, I am not familiar with this recipe. ~Sauerkraut straight out of the jar … YES! ~Sardines, straight out of the can … YES! All the time! ~Pickled beets … absolutely YES! Just had some today! ~Picked herring with onions … YES, YES! LOVE! ~A wedge of raw cabbage eaten like an apple … YES! ~Cold boiled potatoes with mayonnaise … YES x 1000! Uh-no. Growing up in south Mississippi, I had to eat those when I was a child. Well, that and pig tails cooked in turnip greens. I love turnip greens, but I can live without the feet and tails. I love ‘piggy jell-o’ ! Even though I was born and raised in Ontario my grandparents got me hooked on european food. My sister and I were crazy about the wiggly stuff on our plates so we decided to offer it to some of our canadian neighbours and they ran like wildfire upon seeing pig tails sticking out of the gelatin. After that incident they always hid behind the rose bushes when we would mow the lawn. Go figure. Hahahah. I love Vegemite, cheese and mayo sandwiches. I’m thinking I will be able to stick to my diet today….yuck! I do love mayo, cheese and sweet pickles sandwiches…. Potato chips on my PBJ…but that is about it. When I was little we ate hamhocks in our beans…looked nasty but tasted good…never again though! I think I have a little vomit in the back of my throat now….thanks. Jenny,There was one more thing I forgot to tell you there is a web site pulaskie meats.com pictures and everthing.One more question, Do your close friends call you J.J. ? Chicago has a huge Polish population (2nd in numbers only to Warsaw) and I sure miss that. Go, Pulaskies! a BLT without the L and the T.
Needless to say, I didn’t carry on any of those delicasies with my generation.